The Native American Church teaches a combination of Christianity and traditional Native American beliefs. As such, its practices can vary significantly from tribe to tribe, as indigenous practices vary widely across the Americas. Among those practices is the use of peyote in ceremonies. Yet, before you understand why and how it's used, it's important to understand the Church itself. The Native American Church (NAC) originally formed in the state of Oklahoma. It continues to primarily operate in the United States, particularly in the western states, as well as in parts of Canada. The term "Native American Church" does not apply to those Native Americans who solely follow traditional tribal beliefs. Nor does it apply to Native Americans who are entirely Christian. Followers of the Native American Church are monotheists, believing in a supreme being commonly addressed as the Great Spirit. The Great Spirit often works through a variety of lesser spirits. Jesus plays a prominent role in their beliefs, he is often equated with the spirit of the peyote plant. Care of family and tribe and the avoidance of alcohol are central values of the Native American Church. Many Native American tribes traditionally made use of a chemical known as peyote in their religious rituals. As the United States government became more involved in the control of various drugs, users of peyote were facing potential legal issues related to their religious use of it. The Native American Church was officially created in 1918 to bypass this problem. By practicing an organized religion, it was much easier for peyote users to argue that peyote use should be constitutionally protected as a religious practice. Peyote use is commonly illegal in the United States, but an exception is made for its use in Native American church rituals. Even so, there are limitations on what users are allowed to do under its effects, such as operating heavy machinery. In this matter, peyote is treated much the same way alcohol is. 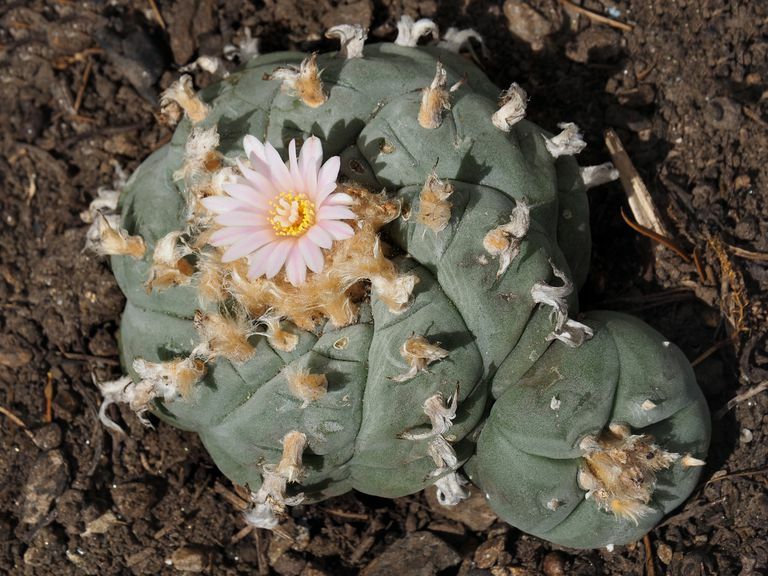 Peyote is the bud of a particular type of spineless cactus, Lophophora williamsii. It is found in the deserts of the Southwestern United States and Mexico. The plant is known for its hallucinogenic properties. Peyote buds are commonly chewed for a more intense experience, but they can also be brewed into ​a tea for a more mild effect. Outsiders commonly think of peyote as simply a means of getting high, but those who use it for religious purposes see it as being sacramental. The plant is understood to be sacred, and ingestion of it brings the user into a closer understanding of the spiritual world. Chewing peyote buds and drinking peyote tea are central practices of the Native American Church. These ceremonies commonly last all night, often starting Saturday night and ending Sunday morning. Singing, drumming, dancing, scripture reading, prayer, and the sharing of spiritual ideas are often included as well. Larger doses – and, thus, more intense hallucinations – may be used to accomplish specific goals. They can allow the user to more fully interact with the spiritual world. Smaller doses, often delivered in a drink, are used in a manner similar to that of smoking ganja by Rastas. It can be used to open the mind and free it to better comprehend things beyond that of the mundane world.